Dr. Johnway Gao of Catchlight Energy LLC (A Joint Venture between Chevron and Weyerhaeuser Company) is an industrial team member for the conversion technology in the NARA project. Catchlight Energy’s vision is to become a major integrated producer of biofuels derived from non-food sources and to deliver renewable transportation products produced from biomass in a manner that is scalable and sustainable – both environmentally and economically. Dr. Gao has 28 years of experiences in the fields of applied microbiology, industrial fermentation, biochemical engineering, and biotechnology. Prior to his career with Weyerhaeuser and Catchlight Energy, Dr. Gao spent 12 years and worked as a principal research scientist with Battelle Memorial Institute (Columbus, OH) and a senior research engineer with Battelle Pacific Northwest National Laboratory (PNNL) (Richland, WA) in developing a few technological platforms, including renewable sugar conversion to bioproducts, energy efficient fermentor system development, fungal promoter isolation and utilization in plant and plant cell systems, transgenic plant as a protein production system, and optical system development for high speed biological and chemical detection. He also served as an intellectual property stewardship member for the department for a few years in Battelle Columbus. In addition, Johnway served as a senior technical leader for a Battelle spin-off company for two years. In his early career as a lecturer, Johnway taught fermentation plant design and biochemical engineering unit operations in the South China University of Technology and also served as an associate director of the biochemical engineering design group. Dr. Gao currently is a senior research engineer in biotechnology and fermentation with Catchlight Energy and is working on various projects of woody and herbaceous biomass pretreatments, enzymatic hydrolysis and fuel alcohol fermentation, and evaluation of various industrial bioconversion technologies. Dr. Gao earned his Ph.D. in 1993 and M.S. 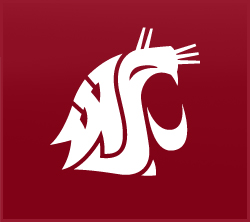 in 1990 in Chemical Engineering from Washington State University, Pullman, and his M.S. in Industrial Fermentation and B.S. in Microbiological Engineering from South China University of Technology, Guangzhou, China. Dr. Gao was a postdoctoral scholar in fermentation and molecular biology in Chemical Engineering Department/Institute of Biological Chemistry at WSU and also a postdoctoral fellow in Bioprocessing Group in PNNL. Dr. Gao has 12 patents in biotechnologies.